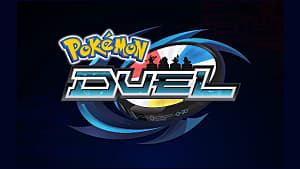 Pokemon Duel is the latest app from The Pokemon Company. It is a mix between a board game and a card game that uses figures. There are many different types and effects that change the outcome of the game. Of course there are Pokemon you can get, but I'll get to that later. 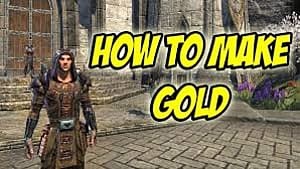 Game Basics - How to play and win the game. Deck - The rules of building a deck. Status/Special Conditions - The 7 conditions and what they do. Game Modes and Boosters - The different game modes and what they do. Also, what boosters are and how you get them. 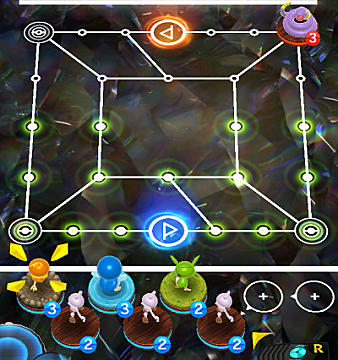 Pokemon Duel is a game where you place Pokemon figures on the board and try to move them to the opponent's side. Each Pokemon has their own set of moves. At the start of each turn, you can place a figure on the field at one of the Entry Points. These are the Poke ball shaped icons on the left and right corners of the board. Each figure also has MP which is the number of spaces it can move in 1 turn. A Pokemon can move past the entry point on the same turn you place them, as long as there is an open entry point. MP is reduced by 1 on the first turn. For example: A figure with 3 MP can move 3 spaces, but only 2 if it is the first turn. You win by placing your figure on the opponent's Goal Point. You lose if your opponent places a figure on your Goal Point. When you run into another Pokemon, you cannot go past it. You must either go around, or battle it. Let me explain how battles work. Battles consists of spinning a Data Disk to see which of your Pokemon's attacks is chosen. If you attack does more damage than the opponent's attack, you knock that Pokemon out. If you both have the same number, it is a draw and you both stay there. If you surround an opponent's Pokemon so that they cannot make any moves, that Pokemon is instantly knocked out. If a Pokemon is knocked out, it goes to the Pokemon Center. Up to 2 Pokemon can be at the Pokemon center at one time. 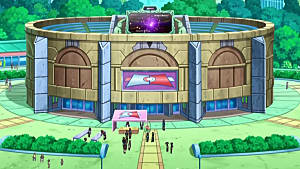 When a 3rd Pokemon is knocked out, the first Pokemon that entered the Pokemon Center will be revived. The newly revived Pokemon must wait 1 turn before it can be used. Blue attacks are protection moves that will save your Pokemon from being knocked out or hit with status conditions. Purple attacks have stars instead of numbers. These always beat white attacks. If both attacks are purple, the highest number of stars wins. Purple attacks are usually status effects and don't deal damage, so it won't knock the Pokemon out. Red is a miss, which means anything the opponent does, besides another miss, will beat you. Gold attacks are similar to White attacks, but they will beat a Purple attack. Some Attacks can be used from a farther range. Plates are cards that you can use at the beginning of your turn. Think of these like items if you have played the handheld Pokemon games. These are things like max revive, x attack, and awakening. They usually only last 1 turn, so use wisely. Your deck refers to the figures and plates you use for battle. 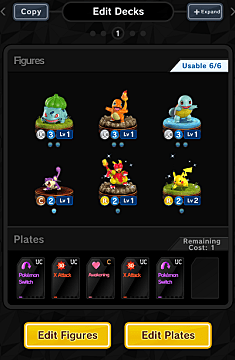 You can put 6 Pokemon figures in a deck and 6 plates. You cannot have more than 3 of the same species. Try to have a variety of figures and plates to deal with any situation. If you have the base and evolved form of a Pokemon, you can have it evolve in combat. To evolve, you must select the base Pokemon in your deck, then choose the evolved form you want. The evolved form can't already be in your deck. If you evolve, instead of choosing the Pokemon normally, its white/gold attacks will get +10 and purple attacks get an extra star. You can have up to 6 evolutions in your deck. Poison - Reduces damage by 20. Noxious - Reduces damage by 40. Paralysis - Makes the attack with the smallest piece on the data disk a miss. Confusion - Changes the attack to the next attack clockwise. So if it lands on Withdraw and the next one clockwise is Tackle, it will use Tackle instead. Sleep - Can't take actions, except moving. Frozen - Can't take actions and all their attacks miss. There are 4 different game modes: League Match, Room Match, Training, and Quests. League Match - These are matches that match players of similar ranking. 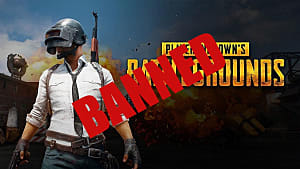 These affect your League rating. Room Match - These are matches you can create or join that don't affect your rating. 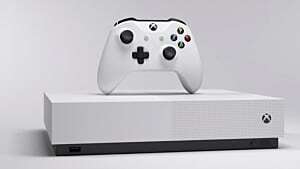 Training - These are practice matches that let you earn gems and learn advanced techniques. Quests - This is the story mode of the game that allows you to earn exp, coins, and more by battling A.I. opponents. 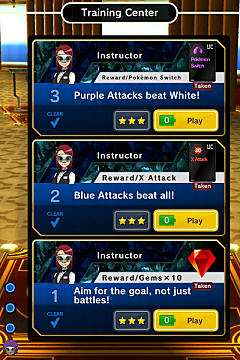 Just like training, you can earn extra gems by completing challenges in each duel. These are packs that give you new pokemon figures or plates. There are multiple ways to get these. Locked Boosters - You can get these once a day by collecting 10 key fragments. You earn fragments by playing League Matches. A loss gives 1 and a win gives 3. Time Boosters - You can get these by winning League Matches. They unlock by either waiting the amount of time listed, or using gems. Shop Boosters - You can get these by buying them in the shop with gems. 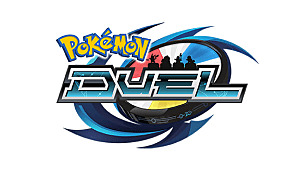 That's everything you need to get started in Pokemon Duel. Let me know if you have any questions!